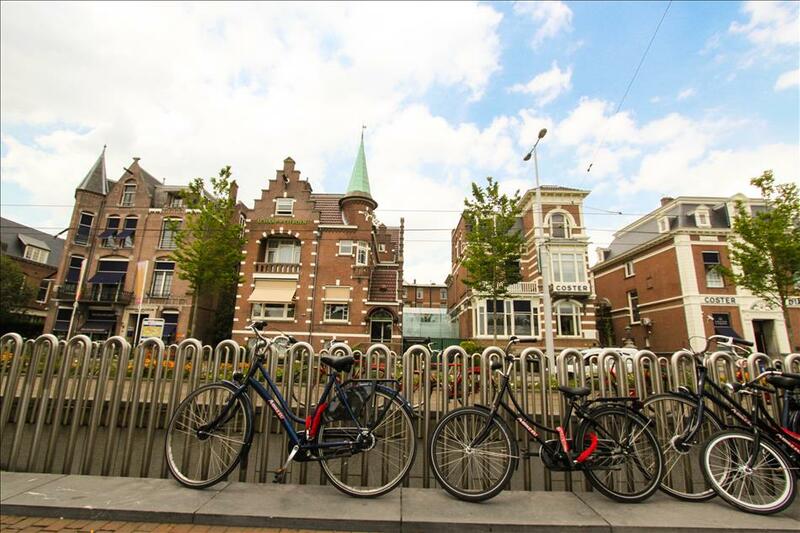 Amsterdam is an old historic city that is truly young at heart. This charming relaxed city was once the busiest and richest in the world, though now in a retirement of sorts it’s still booming with activity. The modern museums and public art juxtapose with the skinny little classic houses lined up shoulder to shoulder along canals. In short: it is a hipster paradise of charm and intrigue. 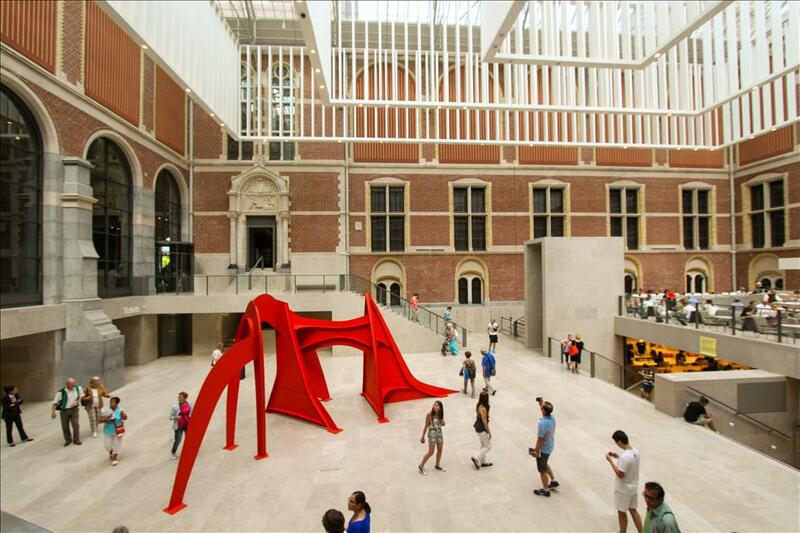 Museums are an essential part of Amsterdam’s history and culture. 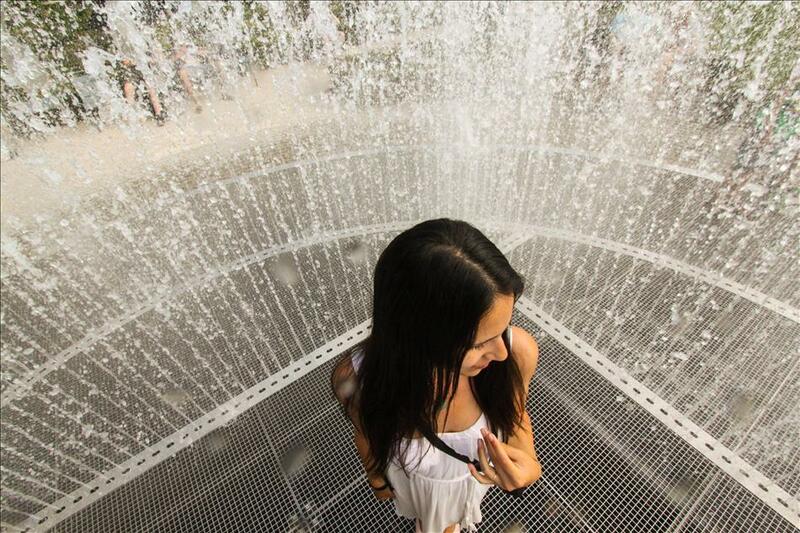 A visit wouldn’t be complete without a trip to the Van Gough Museum or the Anne Frank House. The city is rich with a past full of windmills, tulips, art, and empire. The Van Gough museum captivated me with its detailed exhibitions chronicling the artist’s life. It’s worth a peek if for nothing more than to say you’ve been to the most famous red light district in the world. In its defense, the area has some of the best and most reasonably priced food and bars in the whole city which are in the daytime open long before the famous windows turn on their scarlet lights. 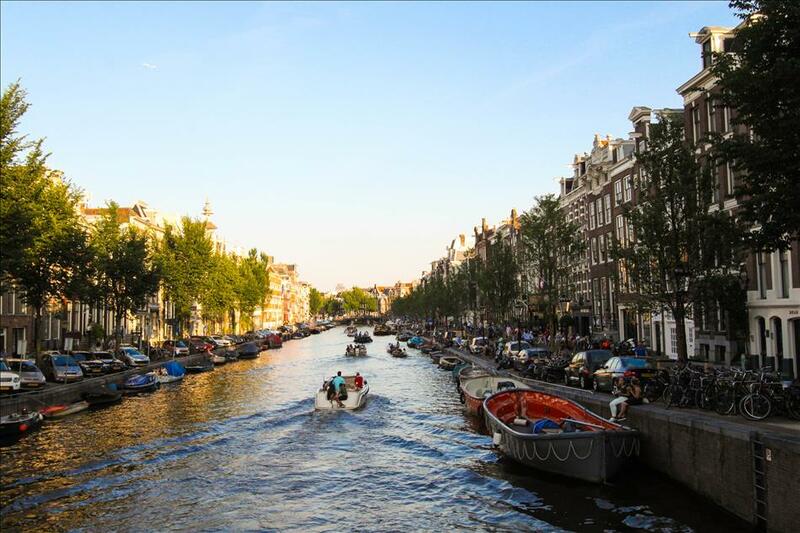 Hop in a Clog, climb on the famous IAmsterdam sign, pose in front of the canals…go ahead and indulge your inner tourist with some photos. The young laid-back fun vibe of the city makes it comfortable to bust out your camera and shamelessly snap selfies to your heart’s content. 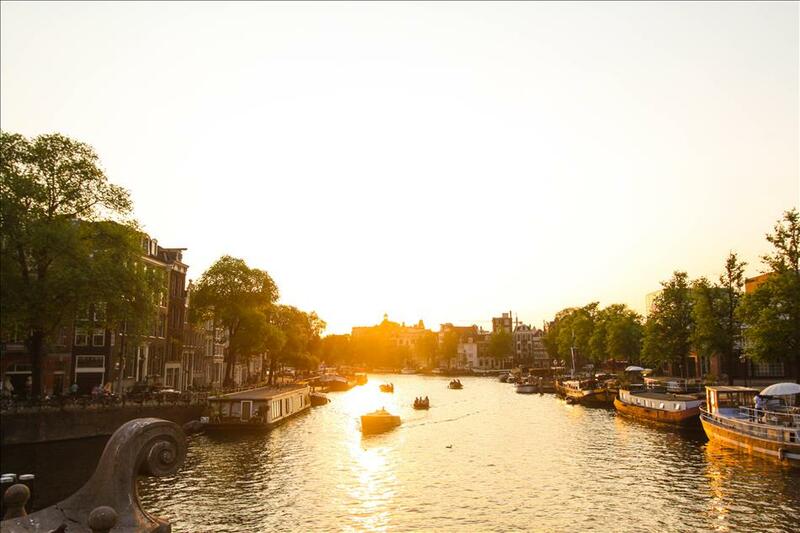 Amsterdam has such a gorgeous sunset and so many bridges that are prime for viewing the canals turn gold in the dusk. Grab a spot on a bridge or better yet, get on the hop-on-hop-off waterbus in the early evening to watch the sunset from on the water. The Waterloo Flea Market is the biggest flea market in Amsterdam and definitely has some treasures to be found. It’s an eclectic mix of imports, local souvenirs, and vintage finds. It’s also a great place to grab some fresh produce for breakfast or treat yourself to a bouquet of tulips. I picked up a beautiful little vintage book souvenir here. Whether you’re going to a coffee shop or a “coffee shop” Amsterdam has some of the hippest little cafes around offering some delicious brews. The ambiances vary from quaint upscale tea sipping cafes to contemporary works of hipster magic. Amsterdam has always been known to have beautiful gardens, so much so, that at one time Dutch Tulips were worth more than gold. Gardens are ingrained in Holland’s history. It would be quite regrettable not to take a stroll in one. 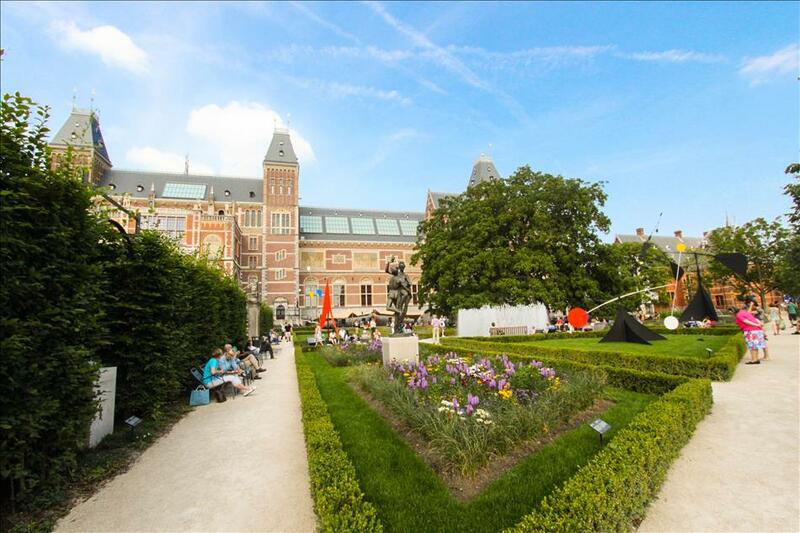 I recommend the Rijks Museum Garden in Museumplein, but there are numerous places to enjoy the flora of Amsterdam. 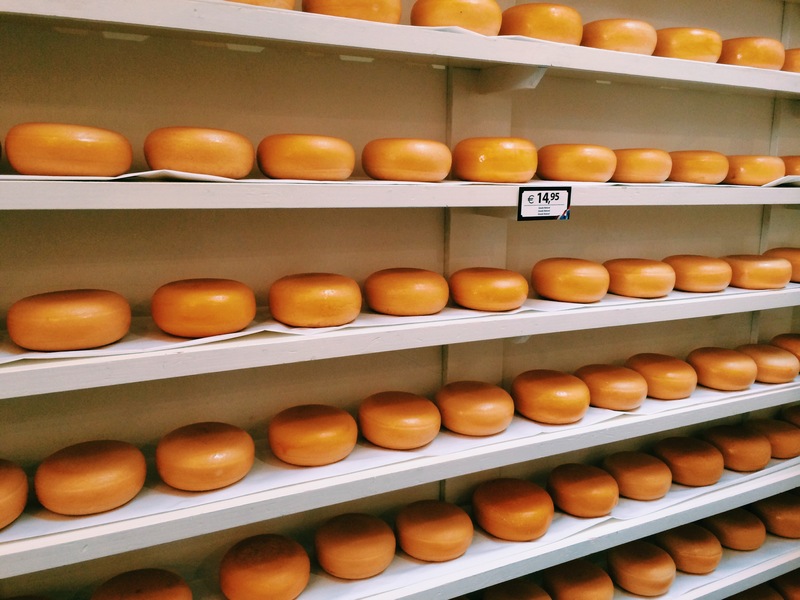 Cheese is a pride product of the Netherlands and they make it in more delicious variations than you’d ever think of. Wine and cheese tasting sessions are a great way to taste your way through Amsterdam. If you’re on a budget, just entering a major cheese store usually ensures free sampling to your heart’s content from platters placed all over the room. I did the latter at a store in Rembrandtplein and indulged in countless cubes of tasty cheese. If you dare, Amsterdam has awesome bike rental systems where you can borrow a bike and power your way through the city like a local. This is the cheapest way to get around besides walking and provides a whole day or longer of readily available transportation. The city is super bike friendly, but do make sure you’re a good city biker, so you don’t return home with any holiday injuries from the busy bike lanes.